John Van Engen, Andrew V. Tackes Professor of History at the University of Notre Dame, has won the 2013 Haskins Medal for his book, Sisters and Brothers of the Common Life: The Devotio Moderna and the World of the Later Middle Ages. The Haskins Medal is the highest award granted by the Medieval Academy of America, the main professional organization for medievalists. 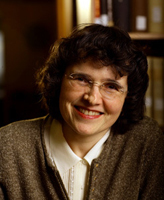 “John Van Engen’s magisterial study of the Devotio Moderna is a major contribution to our understanding of lay spirituality in the later Middle Ages and an interdisciplinary tour de force that justly deserves the Haskins Medal for a distinguished contribution to medieval studies,” says the academy’s outgoing president, Maryanne Kowaleski, the Joseph Fitzpatrick S.J. Distinguished Professor of History and director of medieval studies at Fordham University. Van Engen has also received three previous honors for Sisters and Brothers of the Common Life. He was awarded the Otto Gründler Book Prize in 2010, and he received both the John Gilmary Shea Prize and the Philip Schaff Prize in in 2009. 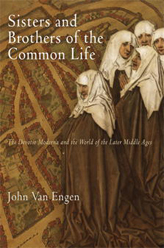 Sisters and Brothers of the Common Life focuses on a late medieval religious movement known as the “Modern Devotion.” According to Van Engen, this 14th century Dutch group wanted to live a dedicated religious life without joining a religious order. Instead, they organized themselves as an independent community with complete commonality of life and goods, cultivating spirituality through a life of service. They supported themselves by their own work, the men copying books, the women making textiles. They also offered religious instruction to any who were interested. But their behavior was also quite unconventional for the time, he notes, and drew censure from some Church officials. Van Engen says his interest in the Devotio Moderna was sparked by a book translation project. In addition to his work on this religious movement, Van Engen also examines cultural and intellectual renewal during the 12th century and notions of “Christianization” in medieval European history. He is currently at work on a general study of the high Middle Ages, tentatively called After the Year 1000. 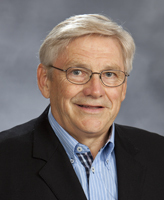 Van Engen joined the history faculty in Notre Dame’s College of Arts and Letters in 1977. He served as director of the College’s interdisciplinary Medieval Institute for 12 years, has been a visiting professor at Harvard University, and has been awarded research fellowships at Princeton University, the Institute for Advanced Study, and the American Academy in Berlin. In 1987, he won the Medieval Academy of America’s John Nicholas Brown prize for best first book on a medieval subject. “The Haskins Award is a fitting tribute to one of Notre Dame’s most highly regarded scholars,” says Patrick Griffin, chair of the Department of History. “The award speaks to a career of path-breaking scholarship in a field of scholarly giants. Van Engen says receiving this Haskins medal “puts one in very distinguished company, which is of course gratifying to me and also humbling. Originally published at al.nd.edu on April 12, 2013.